In this episode we talk about a way to prevent drowning with a simple action plan, especially in water that is not clear and may be cold. Watch now to learn! What if your skin were to turn blue permanently? In this episode of RoyOnRescue, I talk about the possible irreversible side effects of drinking colloidal silver. There’s dangers and side effects that you should be aware of before you decide that silver is the cure. I wanted to cover a little information regarding the Zika virus from mosquito bites. 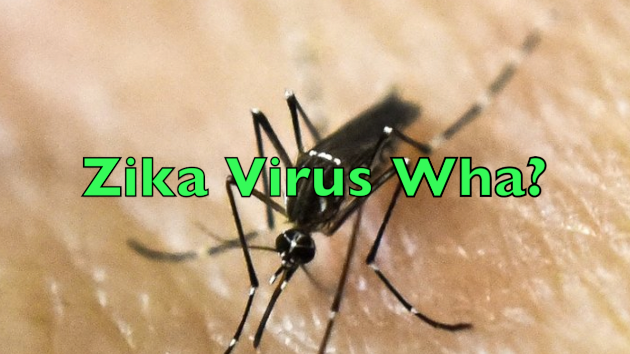 In this video, we talk about where Zika comes from, what it can do to an unborn baby prior to the 3rd trimester and how to help reduce the chances of becoming infected! In this episode of RoyOnRescue, I answer a question from someone who jumped feet first into a shallow pool and now their foot hurts when they walk on it. Is it broken or just sprained and how do I know what to do? Watch this episode to find out more. Hello Rescue Fans! I wanted to make sure to wish you all a happy new year before the end of 2015. It’s been a while and I’ve been really busy with all of the new CPR and First Aid updates. I’m looking forward to an exciting new year and hope you have a wonderful New Year too! Coping with the loss of a loved one or even a stranger can be extremely difficult. But more difficult than grieving, is feeling guilty that the person died because of something that may or may not have been done or done correctly. In this video, I explain in detail what CPR is, and what it’s not and why a person should not ever feel guilty that they didn’t do enough to keep a victim of cardiac arrest alive. I hope that this video brings peace and understanding to why a rescuer should never feel that they are at fault when a person doesn’t survive cardiac arrest, though the bystander attempted CPR or wanted to give CPR. I hope it helps. I Have Throat Ulcers! Now What!? I received an email from a Rescue Fan that had a severe soar throat and wasn’t sure if she should go to the doctor. I suggested they do, and she was diagnosed with throat ulcers. I thought I’d do a RoyOnRescue to help explain what they are and why you should see a doctor. I hope it helps. Three cheers for our heroic Lifeguards! In this episode, I get the opportunity to speak with Logan Evans, the Life Guard who was part of a three person team of First Aid providers who helped a woman who had apparently had a seizure and fallen in the Women’s shower room at a local pool! The problem was that there was a pool full of people and the patient was trapped in a locked shower stall half in and half out of the door on the ground. Watch this interview to see how Logan, Certified Lifeguard, sprung into action to help this person through this scary and potentially life threatening situation. How To Remove A Tick and Prevent Lyme Disease! In this episode, we boys take a closer look at a situation that hit home when one of Roy’s children may have been bitten by a tick. After consulting the doctor and getting preventative treatment for his daughter, Roy thought it would be a good idea to share his new found information with others. Roy, Dan and Jody get a few laughs and learn a lot about preventing Lyme disease and preventing tick bites. So, if you’ve ever been concerned about ticks and Lyme Disease, you won’t want to miss this 10 minute episode that shows pictures of ticks, what the bite looks like and how to tell if you may be infected by the bacteria that causes Lyme Disease.